First recorded (as an outtake) by Bruce Springsteen (1976, released 2010). Commercially-released by Greg Kihn (1979), Gary “U.S.” Bonds (1982). From the wiki: “‘Rendezvous’ was written by Bruce Springsteen during the recording sessions for the Darkness On The Edge of Town album but was not included in the final release. 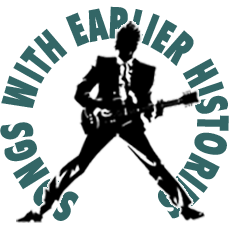 The first commercial release of the song was by Greg Kihn, in 1979, on With The Naked Eye, and covered again in 1982 by Gary ‘U.S.’ Bonds with a version produced by Springsteen and backed by Springsteen’s E Street Band. Columbia Records had Bruce Springsteen remove his vocals from all the tracks he backed on Bond’s On The Line album (distributed by competitor EMI Records). Because of this, although Springsteen can still be heard on several of the tracks, he is not credited in the original liner notes.